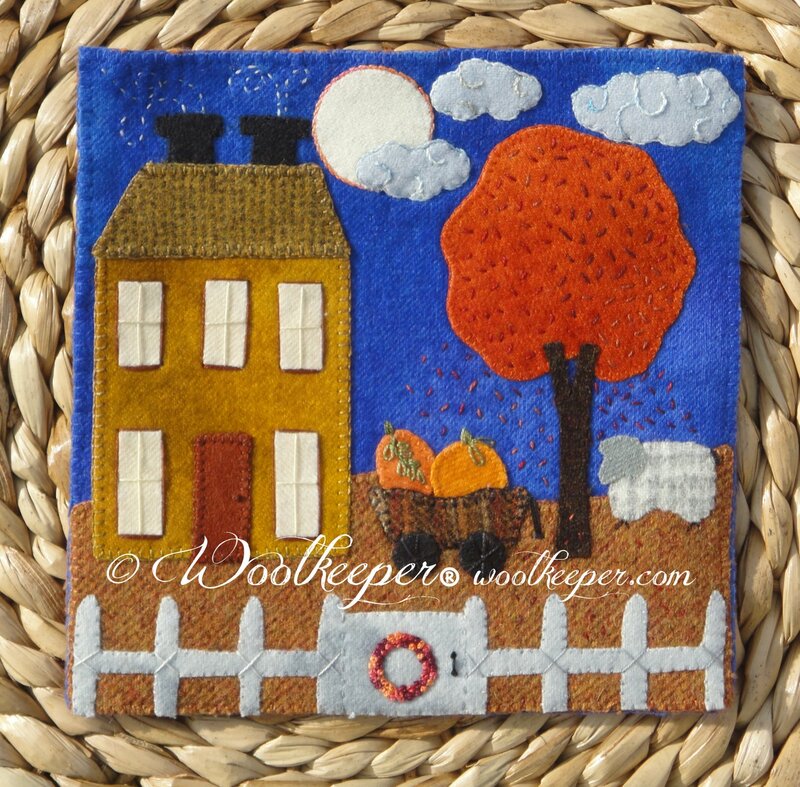 A rich, hand dyed Indigo Blue wool is used for the Autumn sky. A full moon lights up the sky. Favorite Autumn colors make up the tree, house, pumpkins and fence. A wreath of fall colors hangs on the gate to welcome you.